Over the past few weeks, it became apparent that I needed a computer upgrade. Using Photoshop and multi-tasking all the time is very demanding on my system. But after some reasearch and a few minor hardware upgrades, I realized I really do not need a new system. First of all, I have to say, kudos to Microsoft on what appears to be a phenomenal operating system. Windows 7 Beta (Release Candidate) is simply amazing! I think the Apple crowd just lost a great deal of bragging rights. The interface, stability and ease of accessing programs and data is incredible. Microsoft actually listened to their consumer base this time around and added features, navigation capabilities and functionality that have always been missing. It only took me about 20 minutes to install the entire Operating System! 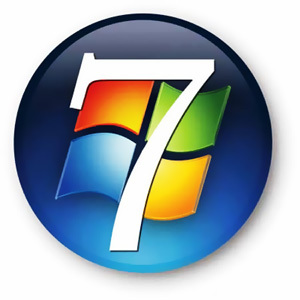 Windows 7 is not even official. In fact, it is still in beta mode but the feedback, enthusiam, and migration from Vista is happening so quickly, that even a risk-averse person like myself made the transition. Oh, and I forgot to mention…it’s free! Of course, the catch is its free until March 1, 2010 after which it will automatically shut down every 2 hours. And then, on June 1, 2010 it expires. So, I have to purchase it by March-10 but at least it is free till then. Additionally, I added some RAM ram, installed a faster hard drive and things are much, much, much faster. Applications, files and boot and shut down times are blazing! In a few months, the newest line of hard drives calls Solid State Drives will be much more affordable and then, things will really fly! But until then, I am very excited with Windows 7 and not having to shell out for an entire new system.